Cytotoxicity assays are widely used in fundamental research and in drug discovery to screen libraries for toxic compounds. Cytotoxic effects may include cell death, by inducing necrosis or apoptosis, or growth inhibition, stopping cells from actively growing and dividing. 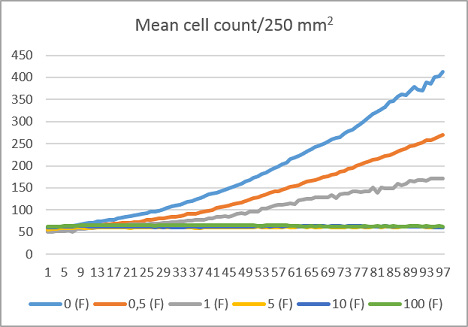 As a result, cell proliferation is decreases. 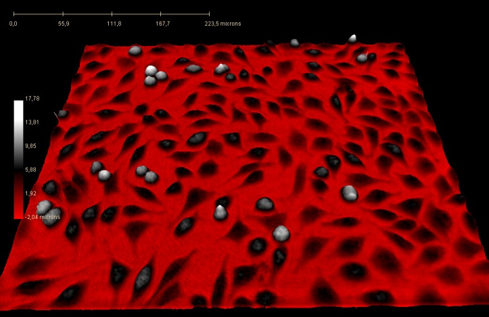 Cell counting, confluence and morphology are useful parameters for toxicity analysis. Untreated L929 cells as compared to cells treated with etoposide. Easily compare effects from various compounds and concentrations vs untreated controls. Discriminate between total growth inhibition and impaired cell proliferation. Excellent correlation between cytotoxicity dose response curves and known IC50-values for several different toxic compounds*. * Kühn et al, “Label-free cytotoxicity screening assay by digital holographic microscopy”, Assay and Drug Developmental Technologies 2013. 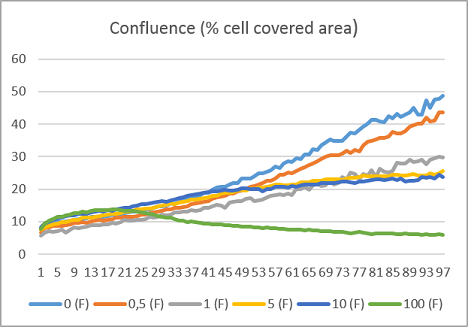 Mean cell count and confluence for L929 cells treated with various concentrations of etoposide vs control (blue line). 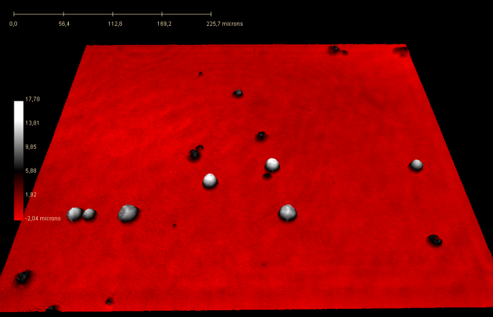 Data from Janicke et al. Label-free high temporal resolution assessment of cell proliferation using digital holographic microscopy. Cytometry part A 2017.